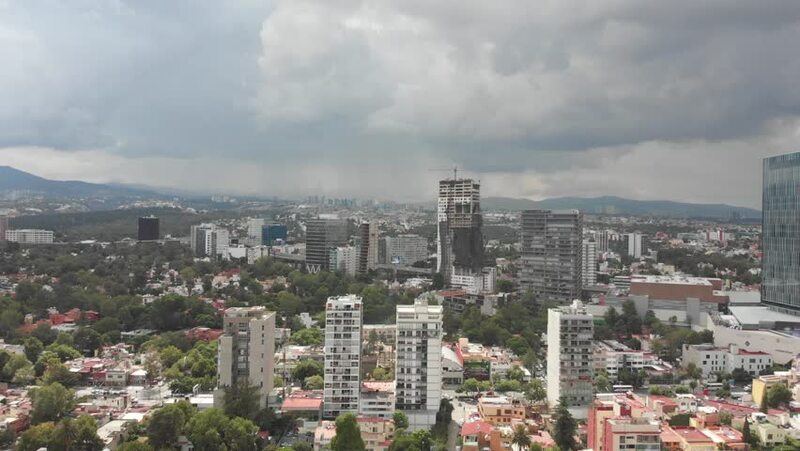 Aerial panoramic view of Mexico City with views of Santa Fe in a clear and cloudy day. 4k00:30Approaching downtown Raleigh, NC in July. 4k00:14Aerial view of the streets of Barcelona, Spain.